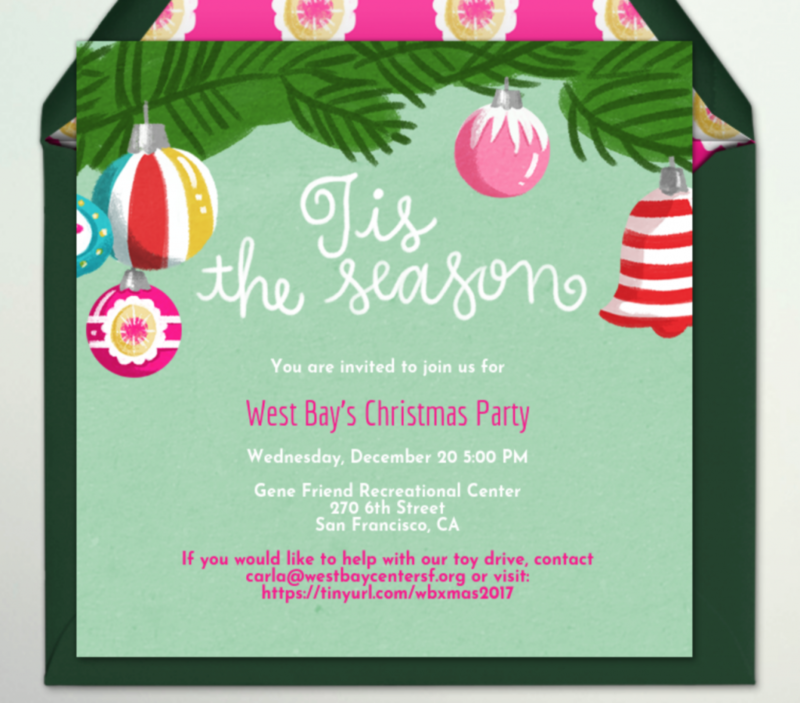 Celebrate Christmas with the West Bay Family! * If you would like to help us with our toy drive to ensure all of our youth have a gift, please click on the red link below that says “Christmas Toy Drive Donation”. You can make a donation or drop off a toy to 175 7th Street before 12/18. Contact carla@westbaycentersf.org for more info.